OTTAWA, Jan. 21, 2019 /CNW/ – Canada’s wireless service providers have launched a new video series to support Deaf, Deaf-Blind and Hard of Hearing (DDBHH) wireless customers. 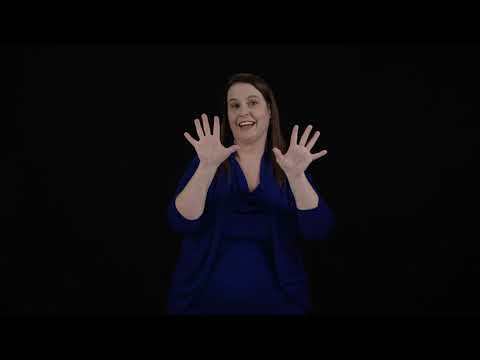 The new ASL and LSQ video series is designed to support DDBHH consumers in understanding the terminology commonly used by wireless service providers. The release of this video series comes just a few months after the release of an ASL and LSQ video that provides the DDBHH community with access to an overview of the recently modified Wireless Code in an accessible format. All videos were produced with closed captioning and include a voice-over to ensure maximum accessibility. The Wireless Code was created by the Canadian Radio-television and Telecommunications Commission (CRTC) in 2013, and updated in 2017, to reflect new wireless service provider obligations. The ongoing partnership between Canada’swireless service providers and the DDBHH community further underlines the industry’s commitment to ensuring informed access to its services by all consumers across Canada. The CWTA is the authority on wireless issues, developments and trends in Canada. It represents companies that provide services and products across the wireless sector. Representing the industry before all levels of government and various regulatory agencies, CWTA actively promotes the industry with the goal of ensuring continued growth of the wireless sector in Canada. CWTA administers a number of initiatives on behalf of its members, including corporate social responsibility programs and the national common short codes program. The DWCC is a standing committee of the CAD-ASC and is a group of Deaf, Deaf-Blind, and Hard of Hearing (DDBHH) consultants, analysts and committee volunteers across Canada. DWCC’s mandate is to advocate for equality for DDBHH Canadians in wireless telecommunications as in: 1) fair, uniform, cost reasonable wireless data plans for ASL and LSQ users; 2) transparent and clear advertisement of plans offered; 3) decreased disparity of wireless product and service provisions within the companies; 4) promotion and availability of wireless software applications (apps) that ensure functional equivalency; and 5) accessible wireless emergency service provisions in Canada.